﻿ Light & Building | not tom. 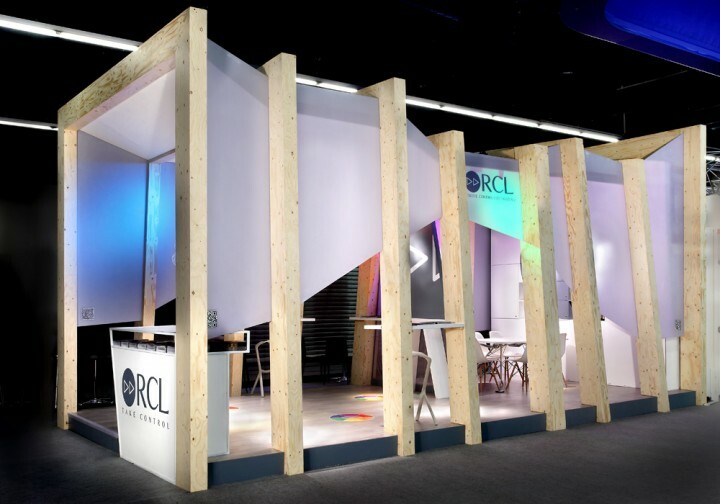 We were approached by Remote Controlled Lighting to create an architecturally impressive stand for them at Light and Building 2012. 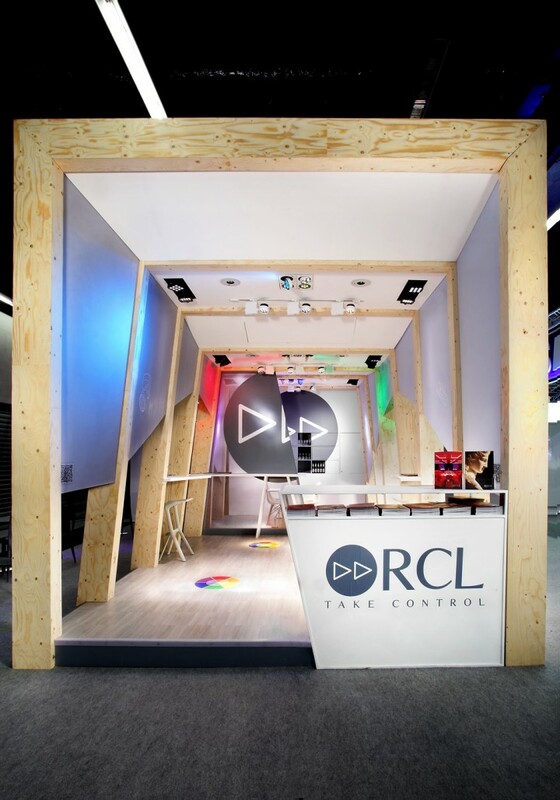 RCL came to us looking for a stand that would appeal to their target market at a show they had not previously visited and a very important event within their industry. 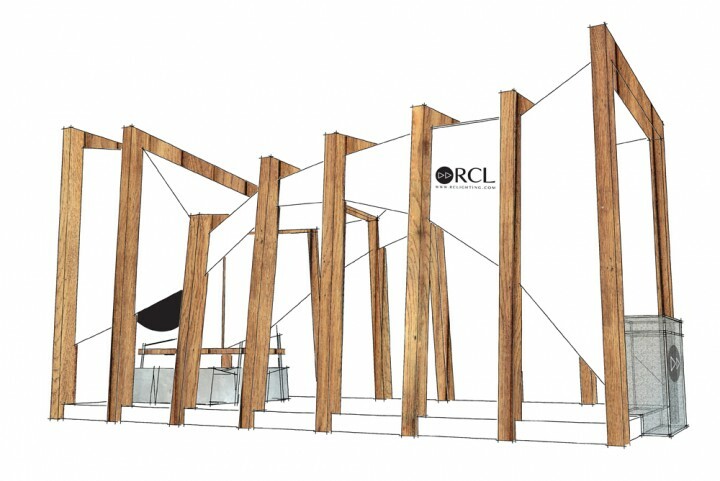 The bulk of RCL’s customers are either architects or lighting designers who work with architects on their buildings. 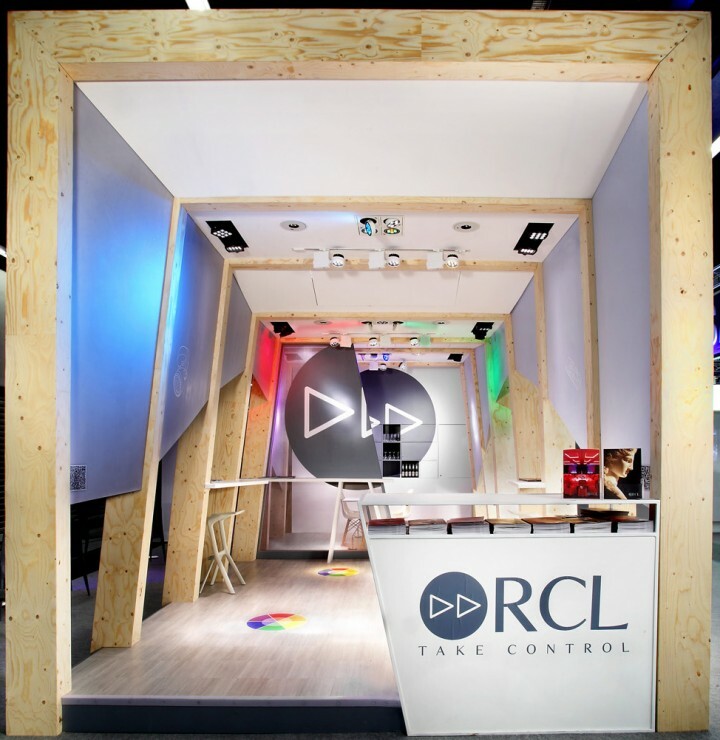 Because of the nature of their product and it’s use in areas with very high ceilings they are often positioned in large and impressive buildings. 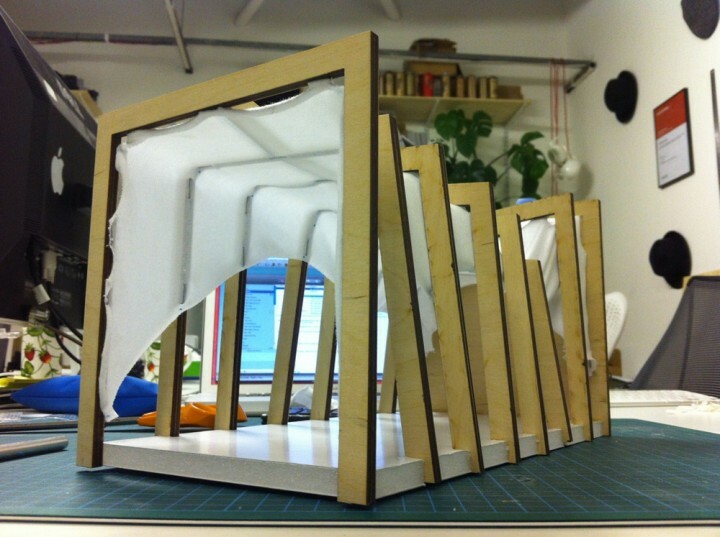 With this in mind we set out to construct a stand that looked and felt like a piece of modern architecture from the design to the combination of materials used. 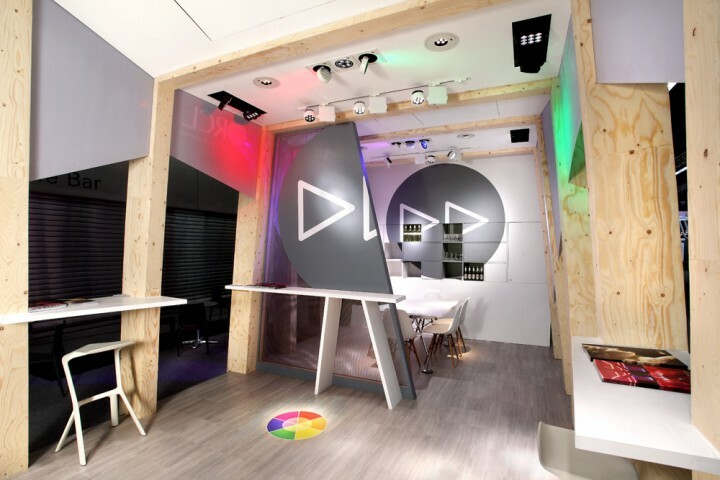 The other factor was that the function of the lights needed to be visible from the exterior, this was displayed by the lights roaming over the walls constructed of frosted polycarbonate sheet.